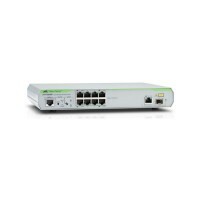 8 × 10/100T ports, 1 × combo port (10/100/1000T or 1000FX port), 1 standard AC power supply in a compact form factor. Auto MDI/MDIX, auto negotiation for all ports. 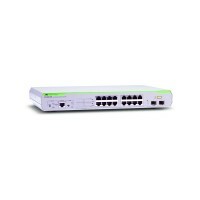 Link Aggregation, Port Setting, Port-Trunking , Port Mirroring. Fanless design. Web Based Management. 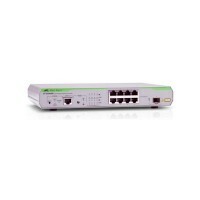 16 × 10/100T ports, 1 × combo port (10/100/1000T or 1000FX port), 1 standard AC power supply in a compact form factor. Auto MDI/MDIX, auto negotiation for all ports. Link Aggregation, Port Setting, Port-Trunking , Port Mirroring. Fanless design. Web Based Management. 24 × 10/100T ports, 2 × combo port (10/100/1000T or 1000FX port), 1 standard AC power supply in a compact form factor. Auto MDI/MDIX, auto negotiation for all ports. Link Aggregation, Port Setting, Port-Trunking , Port Mirroring. Fanless design. Web Based Management. 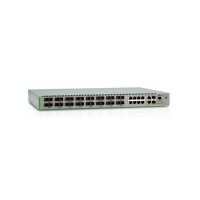 16 x 100FX Multimode Fiber ports and LC connections, additional 8 x 10/100TX ports, 2 x Gigabit combo (10/100/1000T-100/1000 SFP) uplink ports. Auto MDI/MDIX, auto negotiation for all ports. 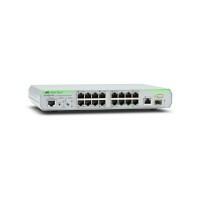 Link Aggregation, Port Setting, Port-Trunking , Port Mirroring. Web Based Management. Two fixed AC power supplies. 24-port 10/100/1000T PoE+ stackable switch with 2 combo ports (10/100/1000T or 100/1000X SFP) and 2 SFP+ stacking/user ports. Auto MDI/MDIX, auto negotiation for all ports. Mixed stacking up to four units. Graphical User Interface (GUI) for easy management. Basic L3 management. 24 port 10/100/1000T stackable switch with 2 combo ports (10/100/1000T or 100/1000X SFP) and 2 SFP+ stacking/user ports. Auto MDI/MDIX, auto negotiation for all ports. Mixed stacking up to four units. Graphical User Interface (GUI) for easy management. Basic L3 management. 48 port 10/100/1000T PoE+ stackable switch with 2 combo ports (10/100/1000T or 100/1000X SFP) and 2 SFP+ stacking/user ports. Auto MDI/MDIX, auto negotiation for all ports. Mixed stacking up to four units. Graphical User Interface (GUI) for easy management. Basic L3 management. 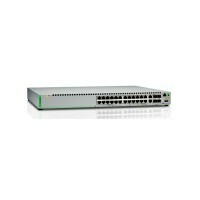 48 port 10/100/1000T stackable switch with 2 combo ports (10/100/1000T or 100/1000X SFP) and 2 SFP+ stacking/user ports. Auto MDI/MDIX, auto negotiation for all ports. Mixed stacking up to four units. Graphical User Interface (GUI) for easy management. Basic L3 management.